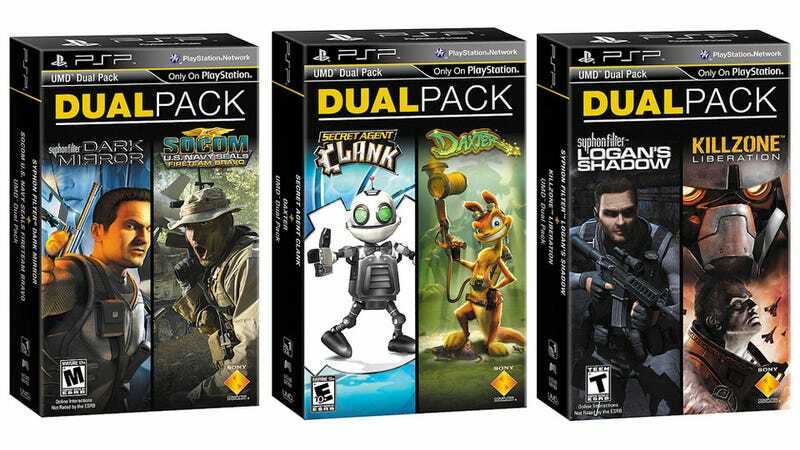 New PSP Dual Pack bundles featuring two bundled games grabbed from the "Greatest Hits" and "Favorites" collections hits both retail and the Playstation Network store this week. The first three set to hit stores this week are: Secret Agent Clank and Daxter; Syphon Filter: Logan's Shadow and Killzone Liberation; and Syphon Filter: Dark Mirror and SOCOM: U.S. Navy SEALs: Fireteam Bravo. You can also download the packs from the PlayStation Store.